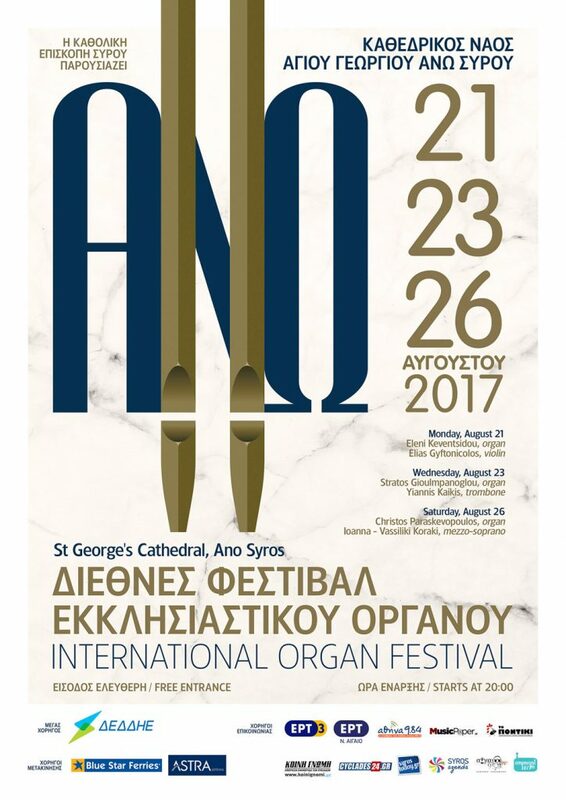 The ANO International Organ Festival is almost ready to unfurl its events. The oldest ecclesiastical organ still in use in Greece awaits at its permanent home, St. George’s Cathedral, Ano Syros, to bestow memorable moments on its old and new friends through three, superb concerts performed by distinguished organists as well as eminent musicians whose musical instruments produce sounds that co-exist harmoniously with the organ. The works performed in all concerts are timeless ones: they embrace the span between the Renaissance and contemporary times, thus showcasing the multi-faceted, versatile character of the organ.